As I was nearing the end of the article, I was reminded of a lesson my Dad taught me during the summer of my grade 5 year. Our family was going on a three week vacation to England. It was our first and only trip on a plane together. And while I have many great memories of that trip, one in particular stands out. We were in London visiting various sites before we set off to visit our relatives throughout the south of the country. All five of us (I have a younger brother and sister), were sitting on the Tube. It stopped at one of stations and an “older” lady got on. Looking back, the lady may have been 35 or she may have been 75 (when you are a kid, everyone looks old! ), but to my Dad that didn’t matter. He looked over at me, and said something like, “How long will it be until you stand up and give that lady your seat?” Only seconds it turns out! It’s funny, my Dad taught me a lot of things in life (as did my Mom! ), but for some reason the lesson above was triggered when reading the Toronto Star article on Monday and every time I’m on public transit around the world. ** For instance, if I was this author’s editor, I would have reminded him that you should not use WTF in your article if you are trying to show good manners. This past Friday, at morning assembly, our school welcomed former Canadian Olympian Deidra Dionne. Deidra represented Canada during both the Salt Lake (2002) and Torino (2006) Winter Olympic games as a free-style (aerial) skier. She spoke to our students about goal setting, the feeling of being an Olympian, the importance of others in our achievements, and so many other insightful and important messages. Deidra’s bronze medal from the Salt Lake Games. The message that resonated with me centred on the definition of success. During her talk, Deidra mentioned her journey to compete in the Salt Lake Olympic games. She described how she and her coaches planned to get to her first Olympics so that she could eventually stand on the podium. She accomplished her goal by winning a bronze medal. By all accounts, people would consider that a success. More importantly, she went on to describe her journey to Torino four years later. During training in Australia, she broke her neck. Given this, free-style skiing at the Winter Olympics in Italy would seem, to many of us, an unreachable destination. Not for Deidra. Once she decided she wanted to ski again, Deidra committed herself to get to Italy. And she did make it. After all of the jumps made by all of the skiers, Deidra finished 22nd in a field of 23. Given all she went through to get to Torino, she and her coaches, and all those who knew what she overcame to participate in another Winter Olympics, would consider this a success. And I think you would too. In school, sometimes people equate success with winning awards, first place teams, and medals for some competition or another. There is no doubt you can consider all of those type of achievements success. This type of success is easily identifiable in assemblies and awards ceremonies. But there are so many other ways that our students should see themselves as successful: dealing with a difficult personal situation; overcoming a physical injury; doing something for the first time; improving their study or organizational skills, etc. Deidra defined success in much the same way we’ve been defining success at KCS for 25 years: try your best in whatever you do. Success will follow. Sometimes as Head of School you can get mired in financial spreadsheets, strategic planning discussions, evaluations, committee meetings, Board work, etc. Over the past 48 hours, there were a number of things that happened that helped to take me away from that part of the job for a moment and reminded me why I got involved in education in the first place. On Tuesday, our grade 8 students, one of our teachers and I had the opportunity to volunteer at a Special Olympics Ontario event held at the Toronto Police College. Our students were asked to be ambassadors and to help supervise the scoring and “refereeing” for a bocce ball tournament for approximately 75 athletes from local schools. As an admirer of Special Olympics from afar over the years, it did not take me long to say yes to the opportunity. It was such a wonderful day for me as it allowed me to spend time with the athletes, other amazing volunteers and staff from Special Olympics Ontario, and to watch our grade 8s actively, and with very little guidance, help to make the day a memorable one for all involved. To see the smiles on the athletes faces as well as on our students, ensured that this event will definitely fall into the top highlights for me from this school year. Last night we had our first evening of parent/teacher interviews. It was enjoyable to have numerous informal conversations as parents came in about their son’s or daughter’s progress, their accomplishments so far, and what lies ahead academically. It’s also a time when we catch up on plans for the holidays, sports talk, and their impressions of the school year so far. 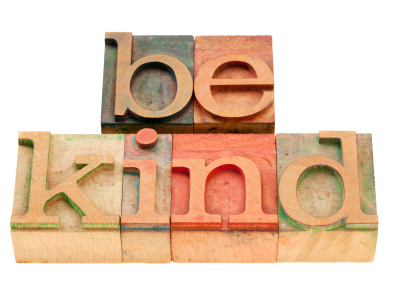 Finally, this morning I was at the front doors saying hello to students, families and staff as they were entering the school when the following encounter happened between myself and one of our grade 2 students. He bounded up to me after he got out of his family’s van, and without a hello, got right to the point. And then off he went into the school. Now back to the spreadsheets. In the various communication classes and readings on the subject that I’ve done over the years, I have always been reminded that it is important to hit your audience early in order to get their attention. You can do this with a captivating story, humour, and many other techniques. So here goes. A couple of weeks ago, on a Friday afternoon, I received an email from our Director of Admissions and Operations that stated that one of our students was in the office, on the phone with his mother, because he had accidentally got a pepperette stuck up his nose. As I always say every year at grade 8 graduation, you cannot make this stuff up. 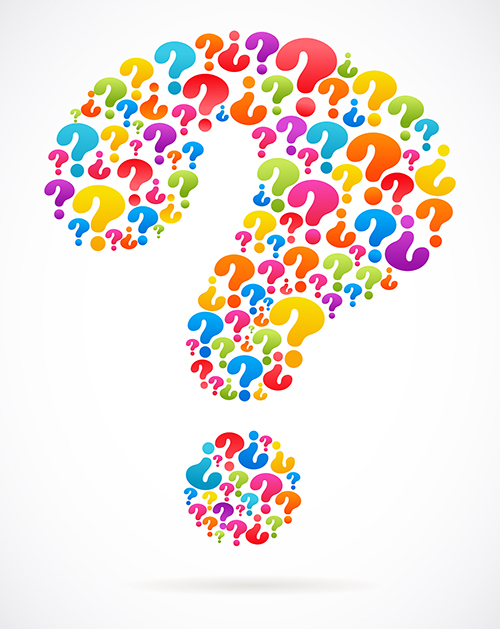 My response to our Director: regular or spicy? I realize it’s hard to get this visualization out of your mind. My lunchtime hasn’t been the same since, although you should know that it all ended happily with a sneeze. Now that I have your attention, and I know some of you will forward this on to some of your other friends at KCS, if you have not yet brought in your two proxies from your family for our Annual General meeting next Wednesday, please do so by the end of the day on Monday, November 25th. This is very important, and we appreciate you helping us out. If you’ve misplaced your blue proxy forms, you can pick up another one from the main office. I’m sure our office staff will share with you their memories of that day a couple of weeks ago. 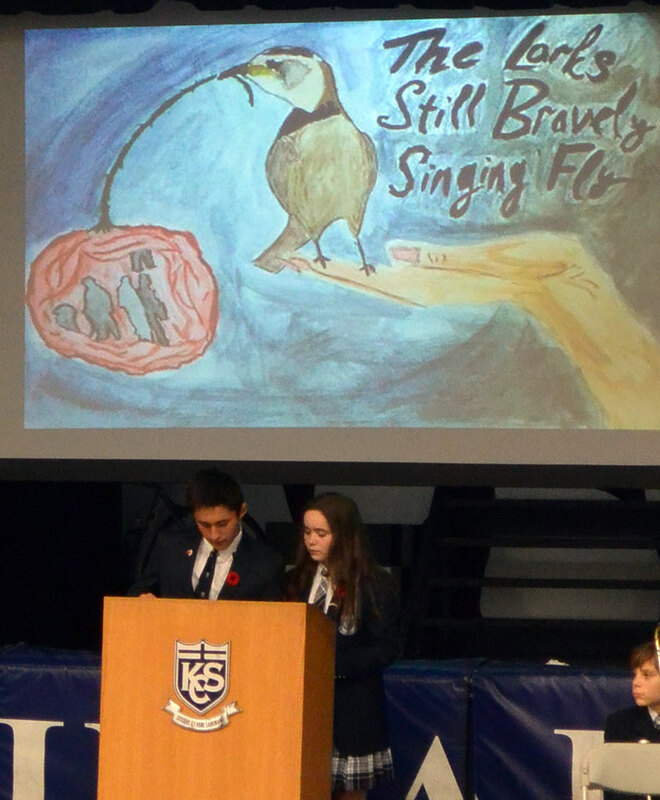 Our grade 8 students led our annual Remembrance Day assembly on November 7th. It was filled with music, visual art, poetry, drama and memories of trips to the Canadian battlefield sites in Europe. The students respectfully asked us to remember the sacrifices and the courage of Canadians throughout the years and to work for peace. In short, the assembly was poignant, heartfelt and meaningful to all of us who were in attendance. On the topic of Remembrance, earlier this year a friend of mine forwarded me this link to a site entitled, “The Fallen”. It is worth a visit. Today was an amazing day at KCS. Five of our teachers, including myself, had their heads shaved in support of The Terry Fox Foundation. You can see the before and after photos below and on our KCS Facebook page and through our KCS Twitter feed. 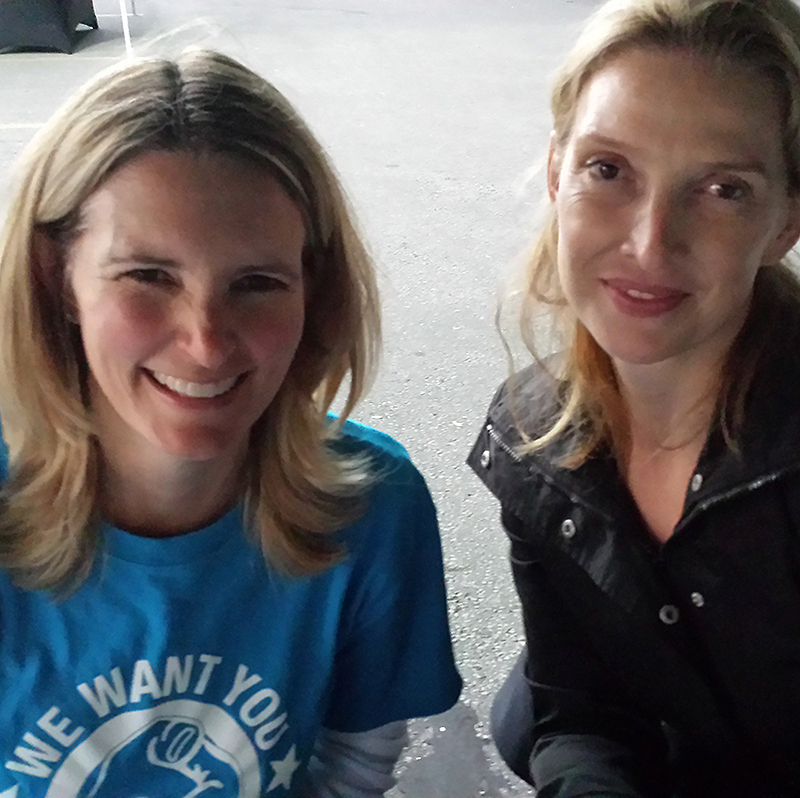 Achieving a goal such as raising over $25K takes a little effort from a lot of people. We realize how our the parents, staff and faculty helped us raise the $25 000. A special thanks to our students who opened up their piggy banks, who asked for money for their September or October birthdays in order to donate it, and who went out into their neighbourhoods and asked for donations. It just goes to show that when many people contribute to a cause by doing what they can, it is possible to accomplish wonderful things. 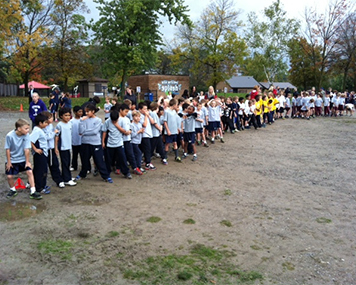 Each year KCS holds school wide fundraising activities for three designated charities: The Terry Fox Foundation, The Get Ahead Project, and Camp Oochigeas. As well, individual students help to support many other worthwhile charities through various other service learning projects. As part of our 25th anniversary celebration, our school decided to set a goal of raising $25K for The Terry Fox Foundation. And as an incentive, a number of teachers and I agreed that we would have our heads shaved if we met our goal by October 25th. This goal was a bit of a stretch for our school, as all worthy goals should be, but in the first nine years of holding a Terry Fox Run at KCS, we have raised over $170 000, so the goal we set back in the summer is certainly attainable. As of the writing of this blog, we have raised $24,747. No more hat head. I can’t wait to start wearing toques in the winter and baseball caps at the gym without wondering whether it looks like I just got out of bed once I take the hat off. Having less hair should help my gazelle-like running speed. I won’t have to be checked for lice when The Lice Squad comes into the school. And they will come as they do every year. Finally, we will have met our goal of raising at least $25K for the Terry Fox Foundation. All of our families have been impacted by cancer; every dollar counts to finding better treatments for this disease. Stay tuned to see if we met our goal on October 25th. Knowing our students and our community, the five teachers and I are confident we will surpass this goal. 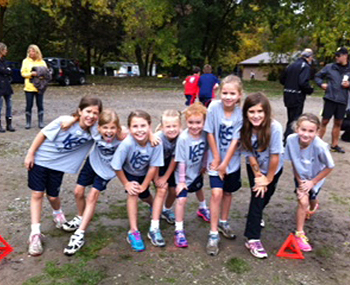 On Monday morning, our grade 3 cross country team went to their meet at Heart Lake in Brampton. I wasn’t able to attend, however, over the past 48 hours I have heard many comments from students and teachers that it was a great event. As usual, I heard about how hard our students competed, how much they enjoyed themselves, and how this event was a wonderful introduction for our youngest cross country athletes. And then I heard another story. One that reminds me about the role an excellent coach, parent and teacher can have on a young person and how they choose to act. One of our students fell at the beginning of the race. There was a question about whether or not he was intentionally pushed, but in the student’s words, “only the guy who pushed me will know…” He didn’t quit. Instead he got back up and ran until he couldn’t run anymore. After he finished running his friends came by, offered words of encouragement and checked in on him. Another student helped him by going to get his lunch off the bus. All wonderful gestures and not surprising from the students at KCS. What made this story even more heartwarming was what happened when the student realized he could not keep running. In the middle of the race, another boy stopped running himself and helped his classmate find a teacher. After he did this, the student got back in the race and finished it. The runner who was hurt said to his mom afterwards, “[He] stopped to help me”. To Zach and Daniel, thanks for your efforts on behalf of our cross country team. More importantly, thanks for doing what is right. I’m proud to know both of you and you can be on my team any day. The organizers are beginning to post the talks from Toronto online, and most of them will be available later this month. 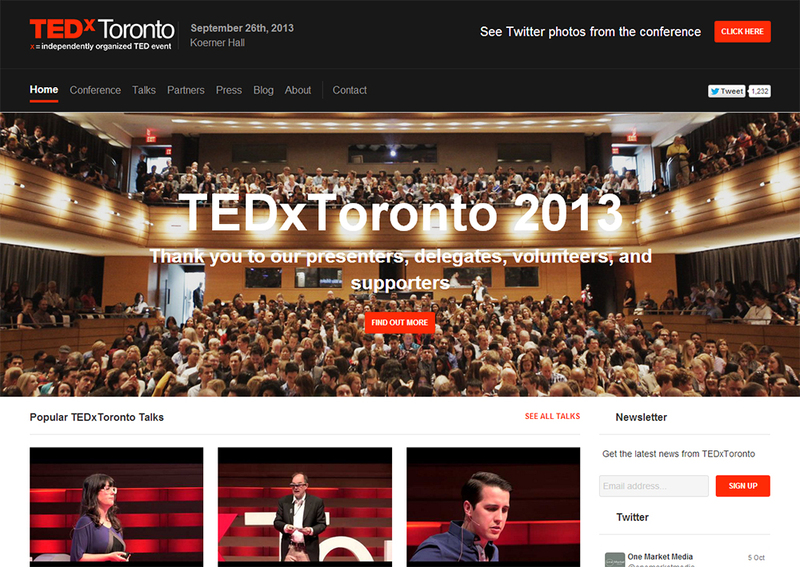 You can find out more by going to: www.TEDxToronto.com. If you have ever considered attending a TED conference, I would encourage you to apply to be a delegate next year. September 26th was certainly a day full of thoughtful, inspiring and insightful ideas. Last week was a rather busy week at KCS. 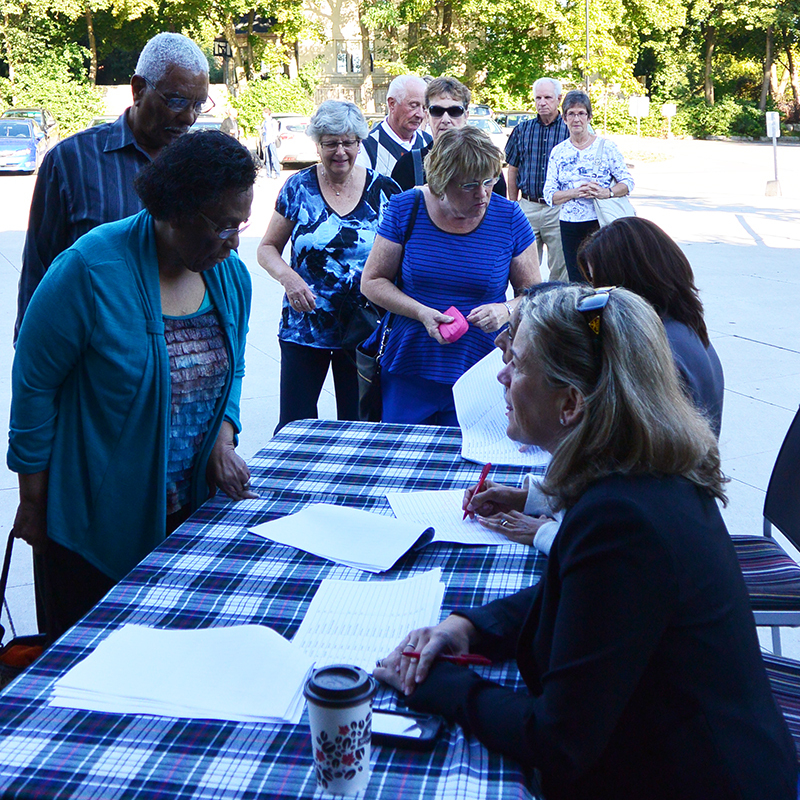 We held our 10th annual Terry Fox Run on Wednesday, our 5th Annual Grandparents Day on Friday, and our Welcome Back BBQ on Saturday for about 800-1000 of our closest friends, families and alumni. In addition to those events, we held a couple of grade parties, a number of committee meetings, and various activities throughout the school. And that was just last week. 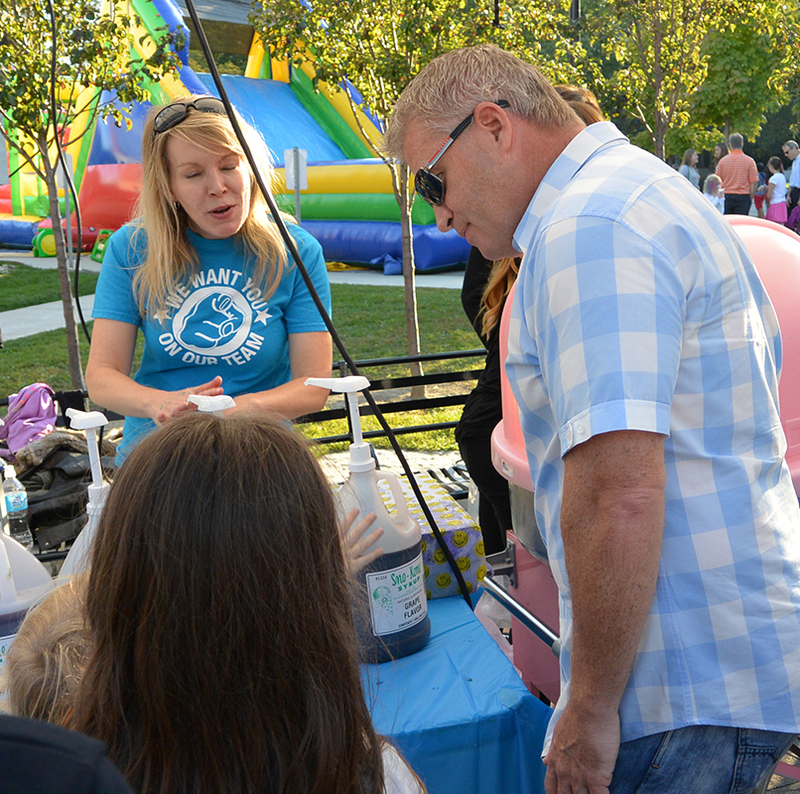 All of these events were successful due to our staff working with our many amazing volunteers. Cheering on the Terry Fox runners. Welcome table at Grandparents & Grandfriends Day. Making snow cones at the Welcome Back BBQ. Extra tickets sales at the Welcome Back BBQ. Our school has been a success for 25 years because of the outstanding commitment by many to give of their time for the current and future students of KCS. 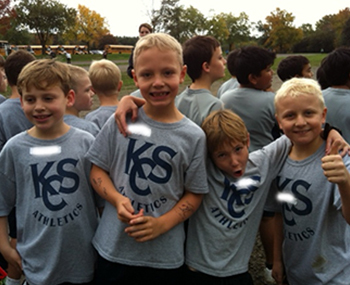 As I said to many of the alumni families who returned on Saturday for a visit, KCS has always been a great school. Throughout our history we did not always have the first class facility that we have now, but one thing we have always had in abundance at KCS were passionate and committed people, both staff and volunteers. For those of you who have volunteered to help us out in so many ways over the first month of the school year, you have my sincere thanks. Your time and efforts ensured we had a very successful first month of September.